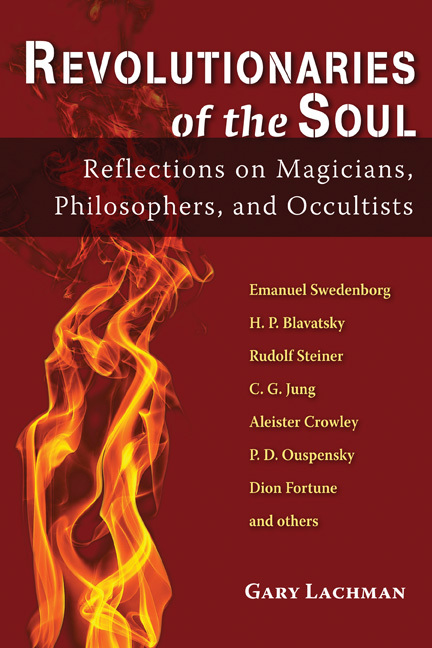 · In this Patheos interview, Gary speaks about his books on Aleister Crowley and Madame Blavatsky before mentioning Revolutionaries of the Soul, which contains mini biographies of both these fascinating luminaries, among others. · Read an excerpt on P.D. Ouspensky as featured on Reality Sandwich. · Read an excerpt on Julius Evola on Gary’s website, Daily Grail. · A review by Rene Wadlow, a member of the Fellowship of Reconciliation and of its Task Force on the Middle East and president and U.N. representative (Geneva) of the Association of World Citizens, can be read on the Transcend Media Service website.